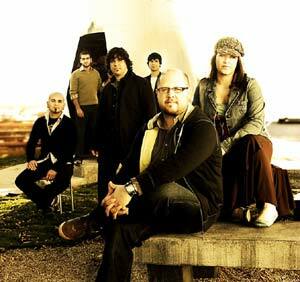 Pocket Full of Rocks has been leading worship in venues around the country since 1995. The band's songs have been featured on numerous worship projects over the last several years, including "Let It Rain" on Michael W. Smith's Worship album and "Let the Worshippers Arise" as the title track for the latest Phillips, Craig and Dean release. Since 1995 the journey of Michael Farren along with his team "Pocket Full of Rocks" has truly been about discovering the "bigness" of God. What started as a simple foray into contemporary Christian entertainment quickly began to be redefined as God began to awaken in them a "heart of worship." As a team known for its spontaneous worship sets, Michael and his team continue to release songs that are simply birthed out of a pursuit of Gods heart. "Leading" worship is relevant when people really begin to respond to who God is and what He is doing. The desire of this team is to see this authentic worship find its place in our songs, our actions, and most importantly in our hearts. Ten years ago, one of our most popular songs was called "Pocket Full Of Rocks" refering to the story of David and Goliath. It talked about how God will use anything we offer Him, even a "pocket full of rocks". At the time we were the nameless band, and some of our friends began to call us "Pocket" and it stuck. We spend a fair amount of time traveling, yet we remain very connected to the church at the local level. Lets just say that it will be interesting to see how it all plays out in the years to come. Bruce Hornsby, David Crowder, Chris Tomlin, Charlie Hall, Lincoln Brewster, Crowded House.